Asset Management Real Estate deals in sale, purchase and renting of residential and commercial property. 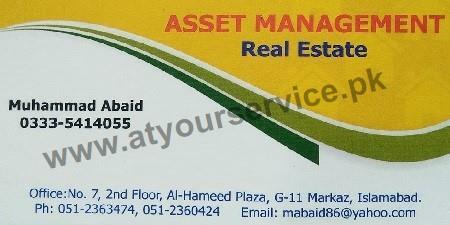 Asset Management Real Estate is located at Al Hameed Plaza, G11 Markaz, Islamabad. It deals in sale, purchase and renting of residential and commercial property.